Like the rest of us, celebs need place to go to get away from it all — sometimes for a few days, sometimes for a few months. And sometimes, as was the case with Hollywood legend Doris Day and mob boss Al Capone, they buy the place. When things get too hot in Chicago, Iowa has always been there. Lore has it, legendary mob boss Al Capone and his entourage spent a good number of nights at Hotel Julien, which he reportedly owned in his gangster glory days. While he made use of the nearby underground garage to conceal his presence, it’s also documented that he always stayed on the eighth floor. With a view of the bridge, he could see if the “feds” or any rival gangs were crossing the Mississippi from Illinois. Now, the Capone suite — private, spacious, luxurious — sits tucked away from other guests on the second floor and boasts a large built-in vault. The original pet-friendly hotel is co-owned by silver screen star turned animal rights advocate Doris Day. She and local businessman Dennis LeVett bought the property in the 80s and began offering their canine guests the same welcome enjoyed by their human visitors. The (human) guest list at Cypress includes classic stars Lauren Bacall and Barbara Eden and contemporary stars James Franco and Orlando Bloom. The Cypress Inn is one of Stash’s newest additions. We’re hard at work getting our systems in sync. 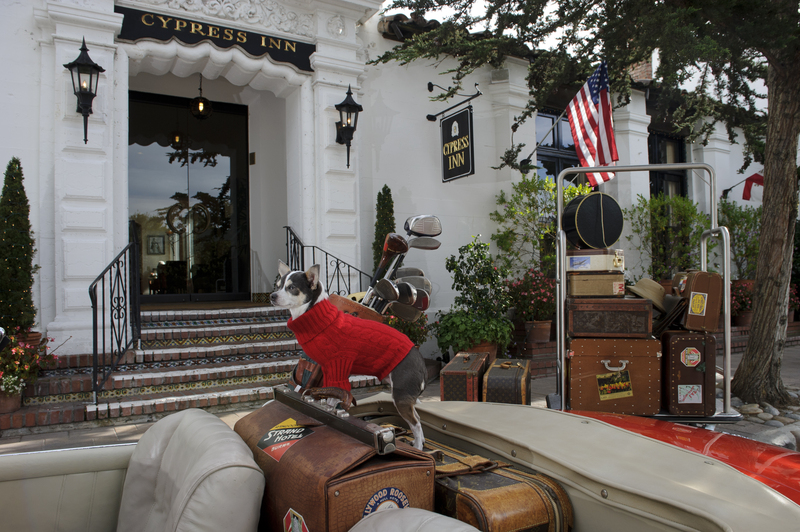 Members will be able to earn and redeem points at Cypress Inn later this year. Of the celebs, sports stars, and diplomats who have checked in at The Lenox — Babe Ruth, Tony Bennett, George H.W. Bush, John Travolta, and John Kerry to name a few — Judy Garland is the only one who has a suite named after her. The singer stopped in at the Lenox in 1965, stayed for three months, and now, her legacy remains in her own eponymous baby-blue suite. Room 272 at The Edgewater Hotel, like the other upscale waterside rooms, has a tremendous view of Elliot Bay. But unlike the other waterside rooms, room 272 once hosted the most famous band in the history of the world: The Beatles. The fab four famously fished out of the window of their suite the afternoon before playing to a screaming crowd so loud it drowned out their 11 song set at the Seattle Center Coliseum (Key Arena).